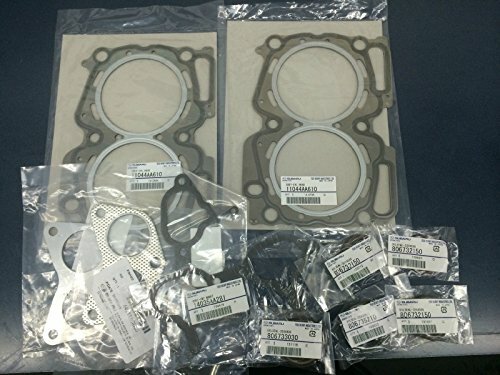 05 - 05 SAAB 9-2X 2.5L 2458CC H4 SOHC 16V, ENG.CODE "EJ25" 03 - 05 SUBARU BAJA 2.5L 2458CC H4 SOHC 16V, ENG.CODE "EJ25" 99 - 05 SUBARU FORESTER 2.5L 2458CC H4 SOHC 16V, ENG.CODE "EJ25" 99 - 05 SUBARU IMPREZA 2.5L 2458CC H4 SOHC 16V, ENG.CODE "EJ25" 00 - 05 SUBARU LEGACY 2.5L 2458CC H4 SOHC 16V, ENG.CODE "EJ25" 00 - 05 SUBARU OUTBACK 2.5L 2458CC H4 SOHC 16V, ENG.CODE "EJ25"
We sincerely recommend you our high quality, reliable replacement head gaskets and seals.All of our gaskets are engineered, manufactured and assembled to the highest material and production standards;provide dependable performance every time in every application; to maximize the life of your engine. 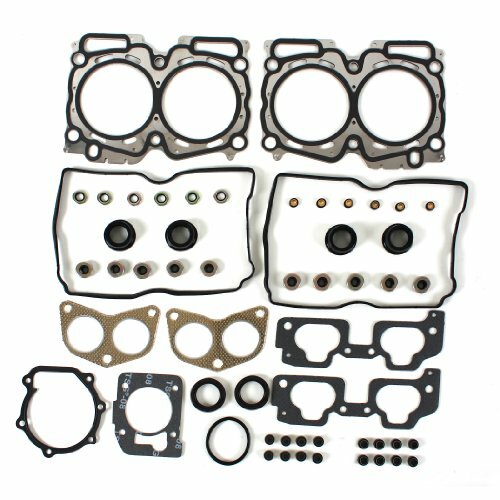 Whether you are replacing head gasket in your daily driver or you want to freshen the performance of your engine with a rebuild, we believe our high quality head gaskets and seals can suit your needs. 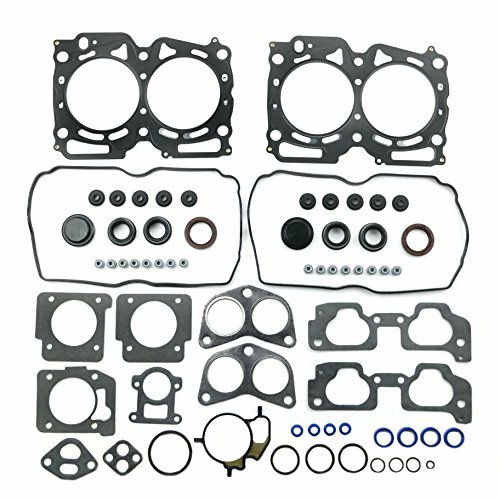 Package Includes: Multi-Layered Steel Head Gasket Intake Manifold Gasket Exhaust Manifold Gasket Valve Cover Gasket Viton Valve Stem Seals Camshaft Front O-RingsOther Small Gaskets Application: 1999-2005 SUBARU FORESTER 2.5L 2458cc H4 SOHC 16V ENG. 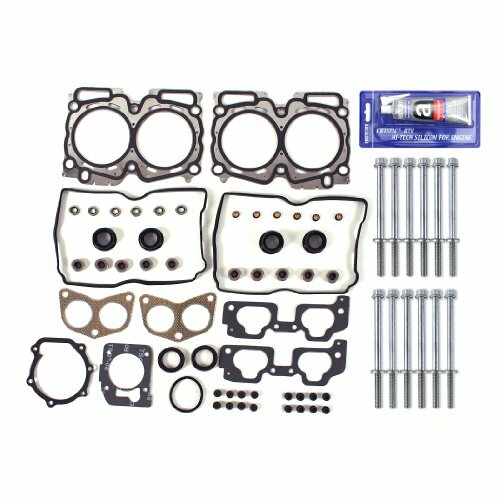 CODE "EJ25" 1999-2005 SUBARU IMPREZA 2.5L 2458cc H4 SOHC 16V ENG. CODE "EJ25" 2000-2005 SUBARU LEGACY 2.5L 2458cc H4 SOHC 16V ENG. CODE "EJ25" 2000-2005 SUBARU OUTBACK 2.5L 2458cc H4 SOHC 16V ENG. 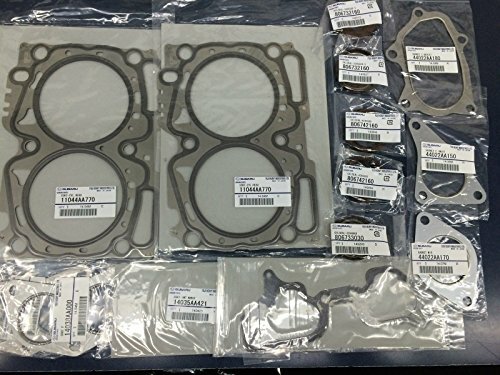 CODE "EJ25" 2003-2005 SUBARU BAJA 2.5L 2458cc H4 SOHC 16V ENG. CODE "EJ25" 2005 Saab 9-2X 2.5L 2458cc H4 SOHC 16V ENG. 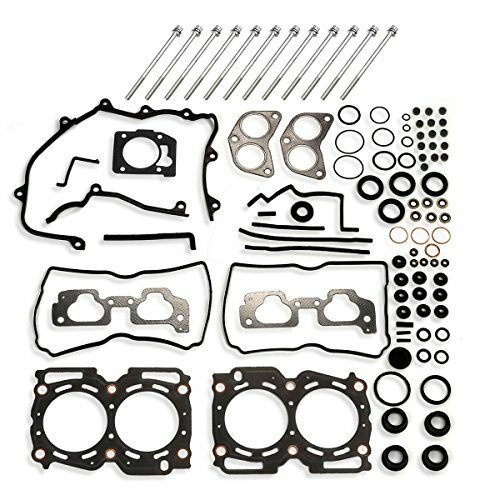 CODE "EJ25"
This item includes:• Graphite head gasket• Intake manifold gasket• Exhaust manifold gasket• Valve cover gasket• Viton valve stem seals• Camshaft seal• O-rings• Front crankshaft seal• Rear main seal• Water pump gasket• Other small gaskets• Gasket silicone sealant• Head Bolts• 8 Intake Valves - w/ 1 Keeper Groove Type• 8 Exhaust Valves - w/ 1 Keeper Groove TypePart Numbers:• FS9008, HB9008, SL1000, IV9008(8), EV9008(8)Part Fitments:1998 SUBARU FORESTER 2.5L 2458CC H4 DOHC, (16 VALVE), ENG. 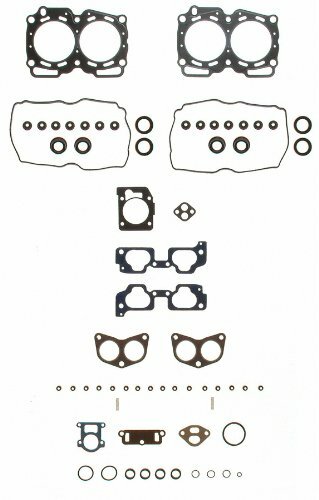 CODE "EJ25D"1998 SUBARU IMPREZA 2.5L 2458CC H4 DOHC, (16 VALVE), ENG. 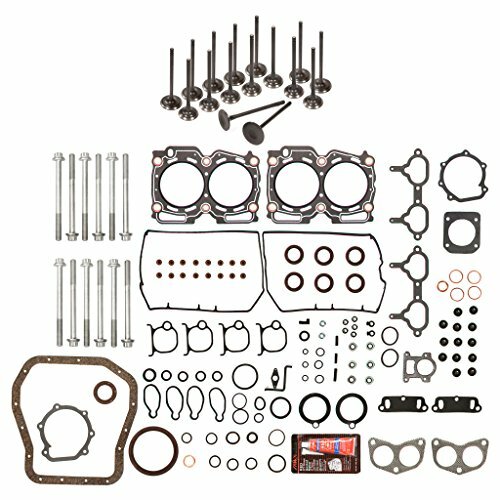 CODE "EJ25D"1996-1999 SUBARU LEGACY 2.5L 2458CC H4 DOHC, (16 VALVE), ENG. 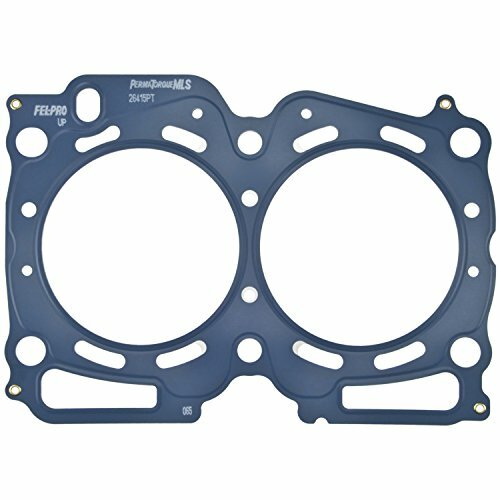 CODE "EJ25D"
Did your Subaru Forester Head Gasket fail? How to know. 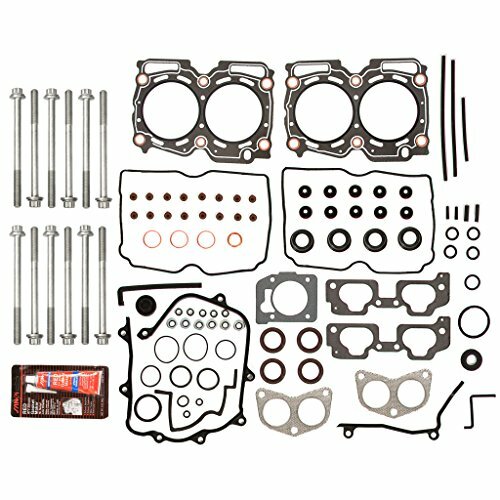 Compare prices on Subaru Forester Head Gasket at ShoppinGent.com – use promo codes and coupons for best offers and deals. Start smart buying with ShoppinGent.com right now and choose your golden price on every purchase.